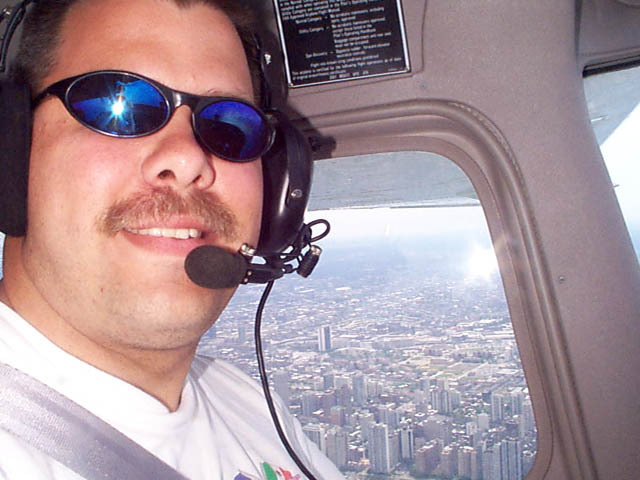 Here's a picture of me that Scott, KA9FOX, took on our way down to the Dayton Hamvention, May 2001. We are somewhere over Chicago. This is the club plane I enjoy flying the most. 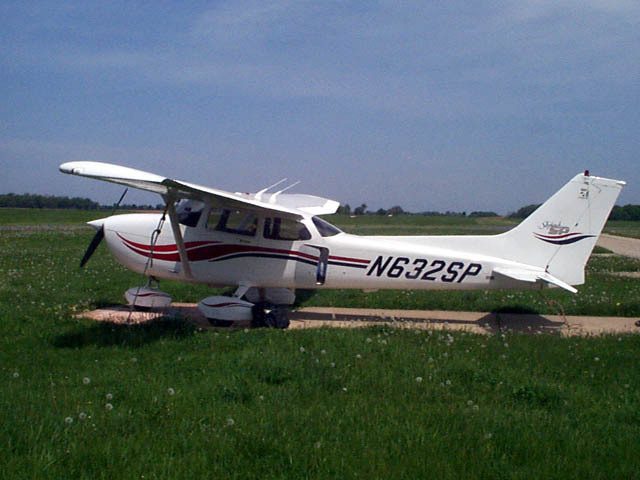 It is a 2000 Cessna Skyhawk SP with the optional 180HP engine. This is the cockpit. 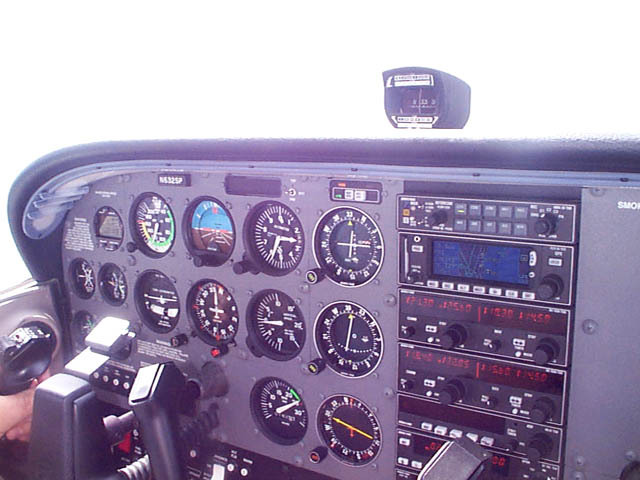 It has a great compliment of instruments, including IFR-approved moving-map GPS and autopilot. 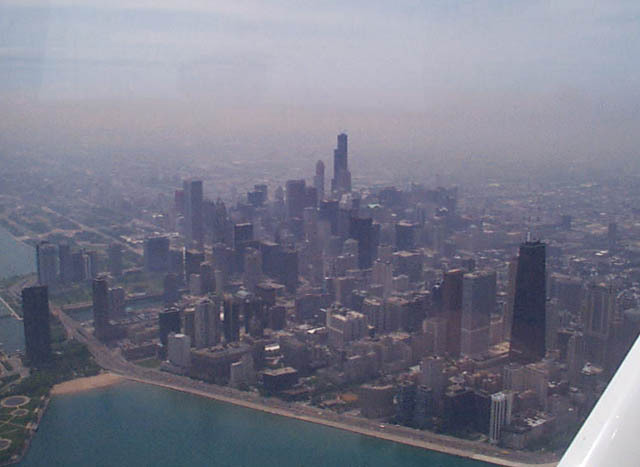 This is a view of downtown Chicago from over Lake Michigan. Here's a great view of Meigs Field (CGX) and Soldier Field (where the Chicago Bears play). 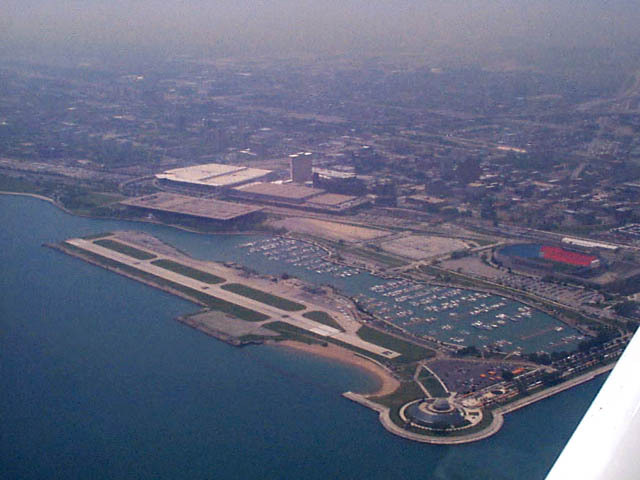 Meigs field was demolished in the middle of the night by Mayor Daley, on 30-Mar-03. To learn more about this tragedy, or if you wish to help, please visit The Friends Of Meigs.